Super Hot!!! Black Friday Deals are coming! FocusCamera has a great deal on the Sony Alpha a6000 with 16-50mm and 55-210mm Lenses and 32GB kit for only $597.01. Hot Deals – $500 Off on Sony a7RII and $300 Off on Sony a7SII ! 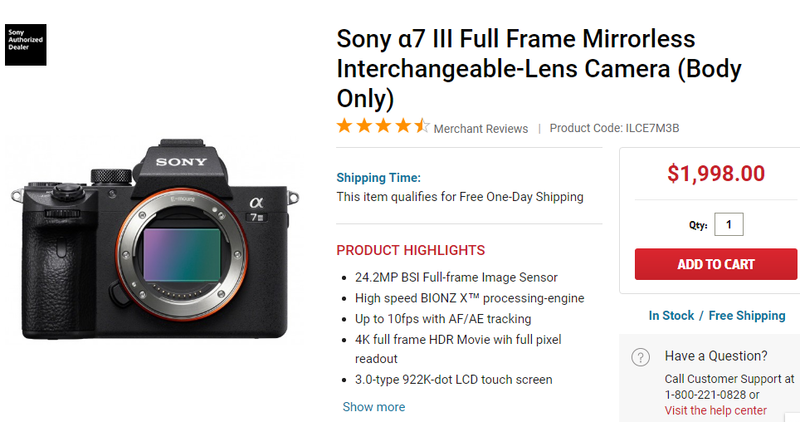 Hot Deal – Sony a6500 w/ 64GB SD Card + Free $200 Gift Card Bundle for $1,398 at Focus Camera ! Sony USA authorized dealer FocusCamera currently has a hot deal on Sony Alpha a6500 APS-C mirrorless camera bundle. You will get free $200 gift card and 64GB Class 10 SD card when buy this camera at FocusCamera. Hot Deals – $500 GC on a7R II, $200 GC on a6500 at Focus Camera ! Sony USA authorized dealer Focus Camera has hot deals on Sony a7R II and Sony a6500. You will get up to $500 free gift card on a7R II and a6500.